Page Updated Acol:- Sunday, 10 March, 2019. Above postcard, postmarked 1916. Kindly sent by Graham Butterworth. Above photo, date unknown, by David Redfern. Above photo 1938, probably showing Harold & Vidor Dillistone. 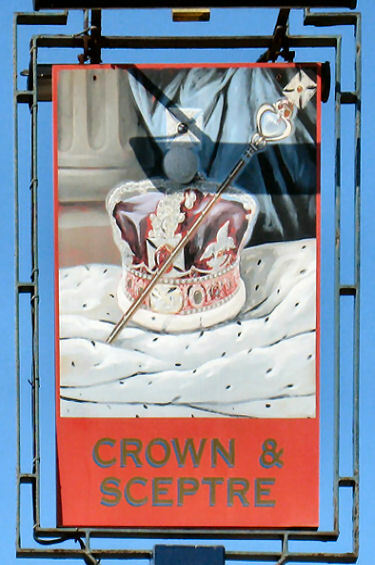 Crown and Sceptre sign left July 1993. Sign right 2010. The premises dates back to the 15th century and contains a restaurant titles the "Stock's Restaurant," where the Magistrates used to hold their court cases. The former stables and barn have been converted into a games room and the back bar shows its original oak beams. Opened as an inn in 1770, it was nicknamed the 'Clown and Spectre' after the proprietor and proprietor's wife of that time. Their ghosts can still be heard bickering and rowing throughout the day. When they do make an appearance, he is tall and thin, with she small and dumpy. This was probably the hostelry referred to by William Cobbett in his Rural Rides. In 1823, Cobbett ‘took breakfast' at Acol, but was unable to buy corn for his horse or bacon for himself, so his opinion of the little hamlet was low in the extreme. 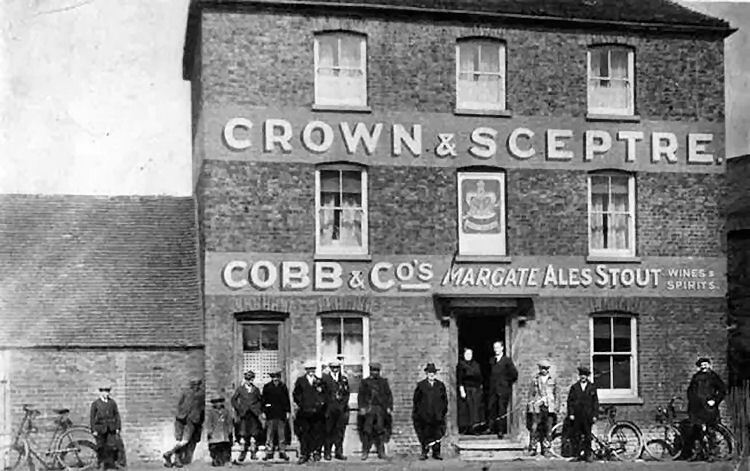 Prior to 1833 the pub was owned by the Symond's Brewery of Ramsgate, but they sold the business and pub to Francis Cobb and Son, brewer also in Ramsgate that same year. I am informed that the brothers of 1861 and 1871 as listed below were working as farmers in Acol in the 1881 census. From Kentish Gazette 24 July 1784. From his Stake Line, near ACOL, in the Isle of Thanet, On Wednesday the 21st Instant. A Black Pony, about thirteen Hands and a Half high, and Blind with the off Eye, has a cut Tail, and has been wrung upon his Back; had a pair of Locks and a Chain on his near fore Foot. Whoever has got him, and will bring him to Mr. Page's at the "Crown" at Acol, in the Isle of Thanet, or to Nathaniel Wixson, on Lady Wooton's Green, Canterbury; or will be so kind as to let them know where he is, so that they may have him again, shall receive all reasonable satisfaction. From Kentish Gazette 23 March 1785. To be Sold by Auction, on Friday, the 8th Day of April next, About Five o'Clock in the Afternoon, At the "Crown" at Acol in the Isle of Thanet, (if not sold before by Private Contract). Two Dwelling Houses, with the Buildings, (all in good Repair) Gardens, Orchards, and several Pieces of good Arable and Pasture Land, thereunto belonging, containing together. Twenty four Acres more or less, with the Appurtenances; situate in Acol and Monketon in the said Isle of Thanet, and now in the Occupation of Mr. George Friend or his Under tenants. Thanet Advertiser, Saturday 25 April 1896. At the County Sessions at Margate, on Tuesday, Edward May, painter, of 6, Chester Road, Westgate, and Frank Smith, painter, of Canterbury, were charged with falsely representing themselves to be travellers and obtaining intoxicating liquid from John J. F. Robinson, landlord of the "Crown and Sceptre Inn," Acol, during the time the house was required to be closed. 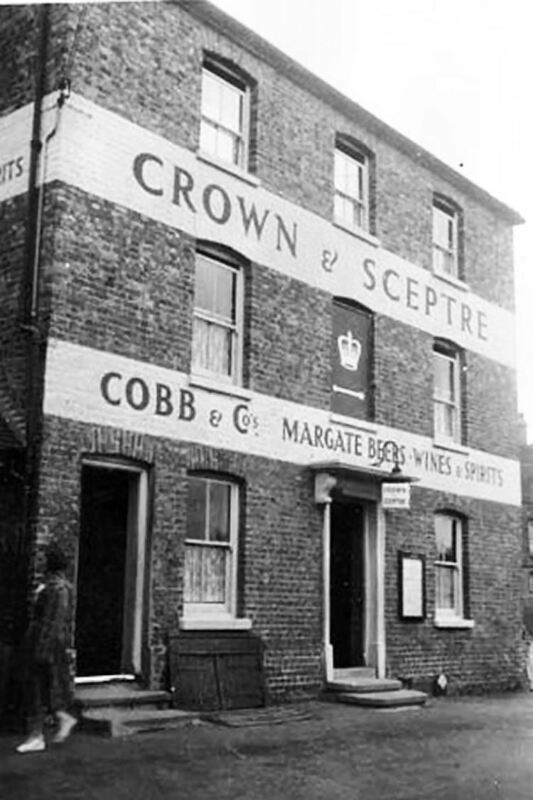 John J. F. Robinson, landlord of the "Crown and Sceptre," said:- On the day in question, about 4 o'clock, defendants came in and asked for refreshments stating that they were from Margate. On that statement they were served with a pint of beer. Whilst there P.C. Dryland came in and took their names and addresses, and they also told him they came from Margate. Defendants was strangers to him. P.C. Dryland said on Good Friday he visited the house and company with P.C. Bretman. He saw the two defendants in front of the bar with a pint of beer. Witness asked the landlord if the defendants were travellers and he said they told him they came from Margate. Witness then asked defendants where they came from and they said "Margate." Witness, said "Don't tell me that story. I know you both. You come from Westgate." May then admitted that he came from Westgate and Smith said he came from 6, Hawks Lane, Canterbury, but was lodging at Westgate, where he slept on the previous night. Smith said that he told the landlord he came from Westgate and not from Margate. He was sorry if he had broken the law. He only went to Westgate on the Thursday from Canterbury, and slept there for the night. May said he walked round by Birchington, a distance of 4 miles, and he thought he was entitled to a drink. He was fined 5s. and 10s. costs and Smith 5s. and 12s. costs, in default ten days each. Smith:- This is a dear glass of beer, sir; good morning. Thanet Advertiser, Saturday 26 November 1898. At the Cinque Port Petty sessions, at Margate, on Monday, J. J. F. Robinson, "Crown and Sceptre Inn," Acol, was summoned for permitting drunkenness on his licensed premises, on the 10th instant. Sergeant Hoare said, on the 10th instant, at 11 a.m., he was on duty in Acol Street. He heard loud talking in the defendant's house, and subsequently he saw 9 or 10 men there, some of whom were drunk. The defendant was at work in the garden, and when he spoke to him about the state of some of the men, and told him he must not serve them with more drink, he said he had not served them for the past half hour, and told them to go. He then went with him (the sergeant) to the men, and said "You won't get any more drink." One man, he was sober, said "All right, governor, let them sleep it off." He refused. Subsequently, he served a man called Patsey, who was sober. At 11:15 3 or 4 came out, and one afterwards tried to return, but he refused to allow him to go in. Some of the men became disorderly, and another fell on his back and could not get up without assistance. Five were drunk and two under the influence of drink. He took two into custody. The defendant said the men had been drinking before going to his house, but he served a man who was sober and he took the beer into the Tap Room; but he (defendant) afterwards saw that two were drunk, and he ordered them to leave and refused to supply more drink. He was in a weak state, having been ill, and had not the strength to eject them. The Chairman pointed out that he could have asked the sergeant to do so. Edward Settlefield, Acol, farmer, said he saw the defendant refuse to serve the men, before the arrival of the police. The defendant was fined £5 and 10s. costs; but the Chairman said the Bench would not endorse the licence. Thanet Advertiser - Saturday 07 October 1899. 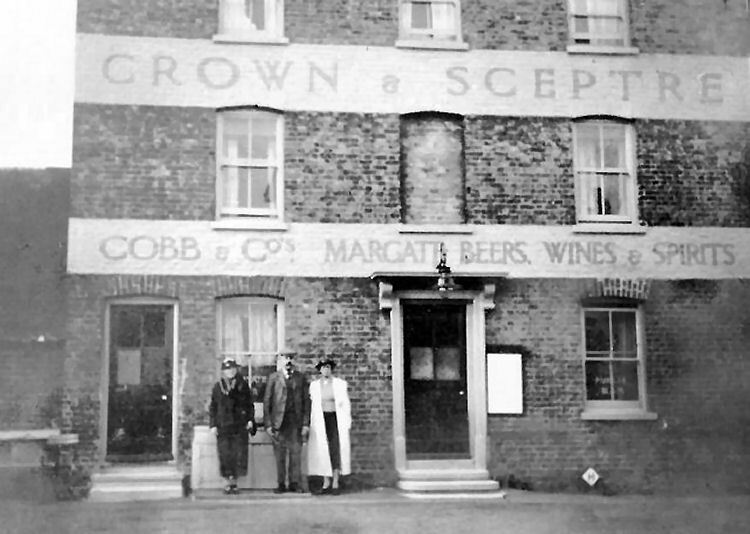 At the Cinque Ports Petty Sessions on Monday, at Margate, the licence of the "Crown and Sceptre Inn," Acol, was transferred to Mr. W. J. Vincent. Dover Express 4th June 1942. At the Dover Licensing Sessions on Monday, the licence of the “Crown and Sceptre”, Acol, was transferred from Mrs. Dillstone to Mr. J. T. Watts of Penge. Thanet Advertiser, Tuesday 4 May 1943. Raid on public house. Late drinks at Acol. Following a police raid on an Acol public house a number of summonses alleging drinking after hours were heard at the Cinque Ports police Court, Margate, on Monday. Mrs. Vidor Dillistone, licensee of the "Crown and Sceptre" public house, was fined £5 for supplying intoxicating liquor during other than permitted hours on 27th of March, and £5 for failing to cause the premises to be closed after 11 p.m. in accordance with the direction of the Regional Commissioner. The following four defendants were fined £1 each for consuming intoxicating liquor after the permitted hours and £1 each for remaining on licensed premises after 11 p.m. Ldg-Acm Thomas Richard James Burrows, R.A.F., of Church cottages, Acol; John David Richard Swain and his wife, Louisa Swain, of Margate Hill cottages, Acol, and George Edward Prescott, of Minnis Bay, Birchington. On behalf of all the defendants Mr. A. R. Young pleaded not guilty to all the summonses. P.S. Wilkinson, stationed at Minster, related how he kept observation on the public house and said that after 10:15 p.m. he heard sound similar to money changing hands and glasses being filled. At 11:45 p.m. he entered the premises through the kitchen door. On the counter in the bar were two glasses of light ale, one belonging to Burrows and one to Prescott, one glass of brown ale, to grape fruits and a pint glass of beer which belong to Swain. P.C. Thompson gave corroborative evidence. Mrs. Dillistone denied that she was in the bar when the police officers entered. She said she was in the kitchen helping her daughter cook the supper. The only drink she served after 10 o'clock with those she gave the people in the bar. She had had a present of fish and asked several friends to stay to supper. In addition to the fines, defendants between them were ordered to pay three guineas costs. 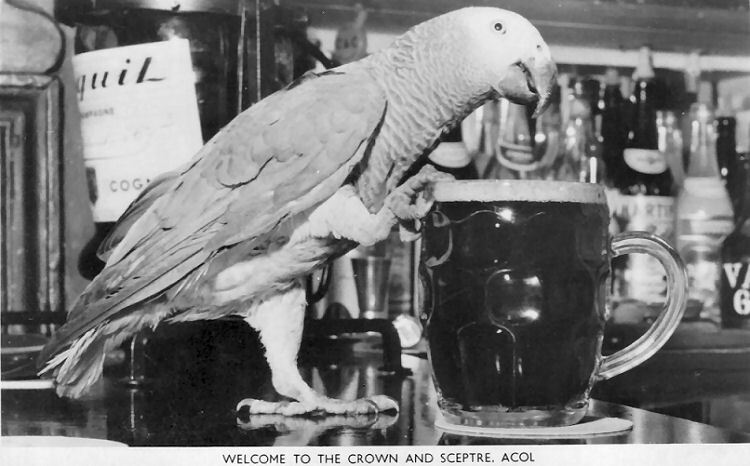 In 1963, licensee Reg Cook had a performing parrot that would do to the amusement of the customers. Unfortunately I do not know the parrot's name. Above postcard, 1963, showing the performing parrot. I am informed that the pub is currently closed and for sale. (April 2014.) And unfortunately looks like it won't open again as a pub. From the https://theisleofthanetnews.com By Kathy Bailes, 9 August, 2017. Residents brand plans to demolish an historic village pub and build houses as a ‘Cell Block H’ proposal. An application submitted to demolish the Crown & Sceptre pub in Acol and build two homes in its place has been branded a Cell Block H proposal by villagers. 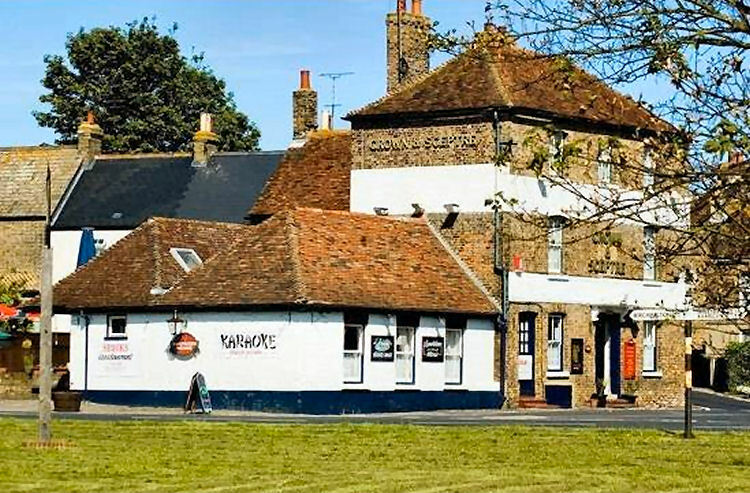 Shepherd and Neame said the pub was not viable with falling beer sales before its closure, little passing trade and a lack of kitchen and restaurant space. Previous applications to develop the site have been withdrawn or modifications were requested. The building is currently in a poor state with the roofs gone and weather damage inside. The loss of the pub is in addition to the closure of Acol’s shop and post office. The premises dates back to the 15th century contains a ‘stock’s restaurant’ title, showing magistrates used to hold their court cases at the site. 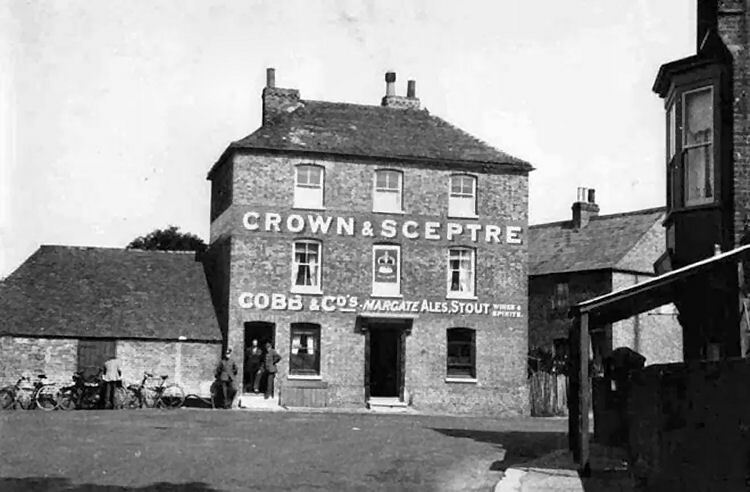 The “Crown and Sceptre” was an inn in 1770. 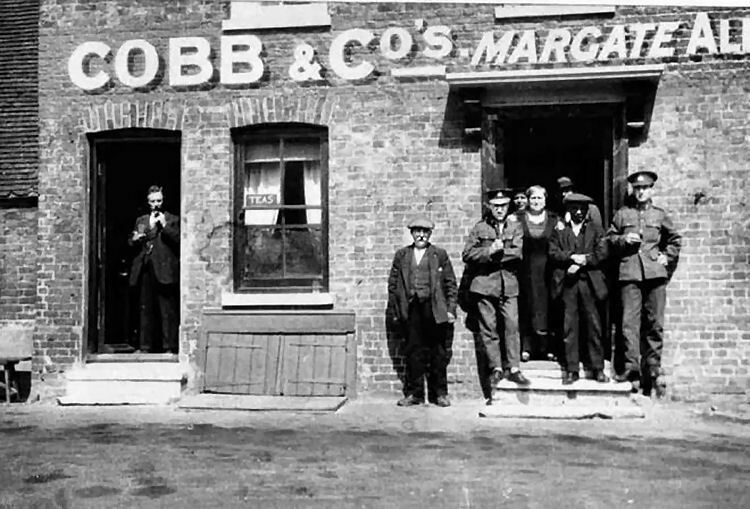 Prior to 1833 the pub was owned by the Symond’s Brewery of Ramsgate, but they sold the business and pub to Ramsgate brewer Francis Cobb and Son that year. From the https://theisleofthanetnews.com By Kathy Bailes, 10 January, 2018. 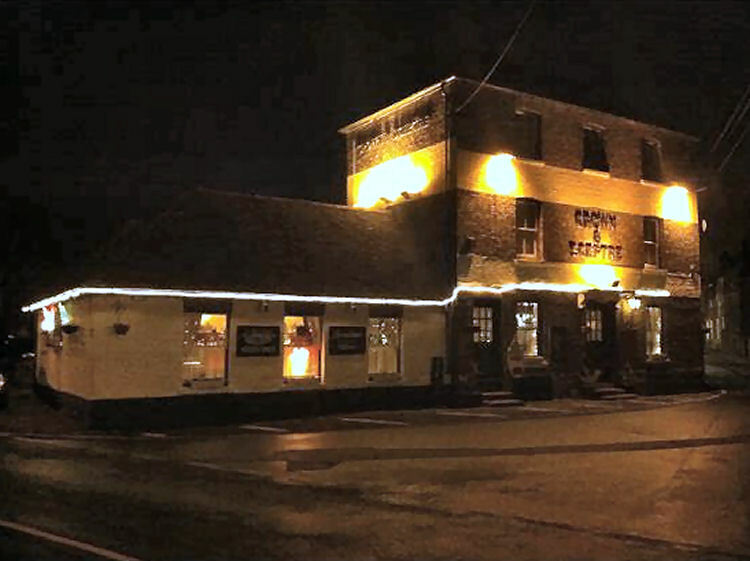 Thanet council serves notice on Acol Crown & Sceptre owner ordering rebuilding works. 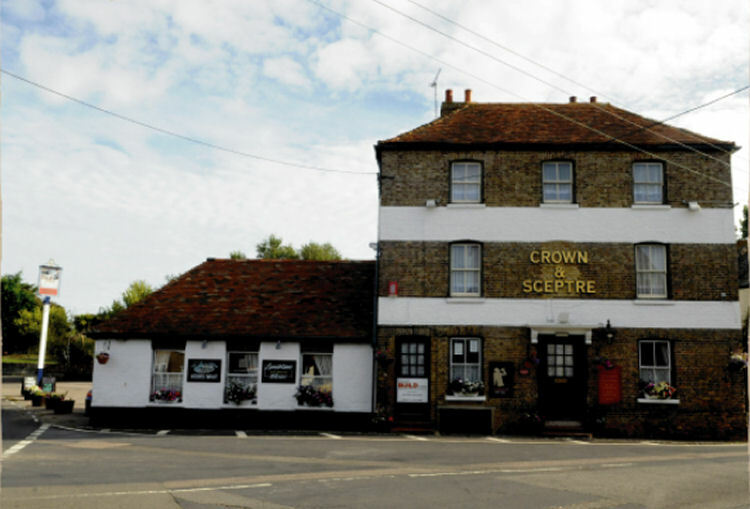 Thanet council has served notice on the owner of the former Crown and Sceptre pub in Acol ordering them to carry out rebuilding works – including the replacement of the roof. Last October an application submitted to demolish the pub and build two homes in its place was refused. In April 2013 it was sold for a sum below the original asking price but was deemed unsuitable to open as a pub again. The planning application from Torran Construction was vehemently opposed by many residents in the village. The building is currently in a poor state with the roof gone and weather damage inside. The notice served by Thanet council requires the roof to be replaced. The premises dates back to the 15th century. Rebuilding of the front elevation wall and from second floor cill level and repairing of any cracks within the main building elevations. Replacement of the three front windows in the same design and materials as previously installed. Replacement of timber roof structures and replacement of the roof using the same materials and design as before. Rebuilding the north end gable of the rear addition. The notice will take effect from February 7 and requires the work to be completed within three months of that date. A Section 215 notice can be served on any interested party where land or buildings have become untidy and are considered to adversely affect the amenity of the area. There is a right of appeal to the magistrates court.